Adelantado Trilogy: Book One is today's Daily Deal from Big Fish Games. 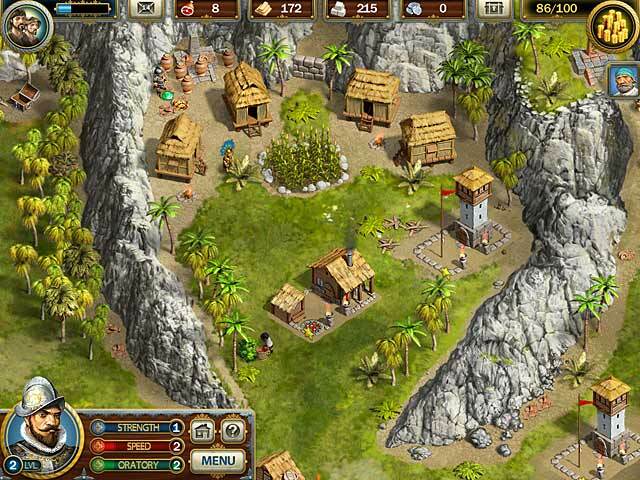 Join Don Diego De Leon as he leads an expedition into the new world, befriending the natives and claiming new territories for Spain in this exciting time management game. 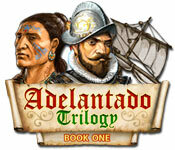 Adelantado Trilogy: Book One is today's $2.99 Daily Deal from Big Fish Games. Landing in a brave new world, Spanish officer, Don Diego De Leon is tasked with exploring and taming the vast jungles for his country. Join him as he leads a crew of workers and soldiers, constructing and restoring buildings, working with the locals, and finding the vast riches this new land holds. Adelantado Trilogy: Book One was a big hit with a rating of 4 out of 5 Stars. 77% of players would recommend this game to a friend. Here's a few comments from both sides of the spectrum. "The music is beautiful, the setting is beautiful, and the time limits are actually realistic." "Graphics are lovely and gameplay is smooth." "Very interesting game play with lots of things to do..."
"My primary disappointment with the game was the lack of an adequate tutorial with respect to game mechanics." "The fact you can't save a level is incredibly annoying." "OK if you require constant direction on what to do and when but if like me you like to devlop your own strategy you probably won't like this." And that's the basic sum-up for Adelantado Trilogy: Book One! Don't forget, if you want to take advantage of this deal, it will only be available to purchase at the discounted price of $2.99 until midnight tonight!